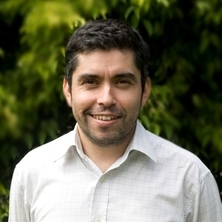 Dr Onederra is an Associate Professor at The School of Mechanical and Mining Engineering of the University of Queensland and an internationally recognised expert in explosives and advanced blasting engineering. Dr Onederra holds a Bachelor of Engineering (Civil) with Honours from the University of Melbourne, Masters of Engineering Science and PhD from the University of Queensland. He has over 20 years of experience in the field of explosives engineering, blast design & analysis, performance monitoring and process optimisation. He has been actively involved in R&D and expert consulting in several mining operations and associated clients in Australia, South America, Africa and Europe. Dr Onederra has been actively engaged with industry through a wide network of contacts in Australia and Overseas, particularly Latin America given his background and ability to communicate in Spanish at the corporate, technical and operational levels. Over the years Dr Onederra has been recognised for contributions in blast performance monitoring, applied modelling and process optimisation. He has developed predictive fragmentation modelling tools that have been successfully embedded in commercial software that is now used by industry in over 60 countries. He has a strong record of publications in international conferences and top-rated mining engineering journals. In 2014 he was awarded the Douglas Hay Medal from the Institute of Materials Minerals and Mining (UK) for the best journal publication contributing to the further understanding of confined blasting techniques such as preconditioning and de-stressing. Recently Dr Onederra established a research group that is leading the development of novel explosives that can eliminate hazardous nitrogen oxide fumes. The development of this technology has been supported by industry and recognised as one that could potentially disrupt the well-established ammonium nitrate based industry. The application of this new technology is expected to span across mining and civil construction industries. Since 2014 I have been involved in the development of novel explosive formulations to eliminate nitrogen oxide emissions (fumes) after rock blasting. The Australian Coal Association Research Program (ACARP) has contributed significantly to this as it is an issue affecting Coal operations. The idea to solve this problem came from one of my PhD students and involves replacing ammonium nitrate with hydrogen peroxide as the main oxidizer in explosives. We are currently at the testing stages and are facing many challenges, one of which is making sure that the product is stable in blastholes over long periods. To that end we have looked at different alternatives such as manufacturing higher density prills using different types of cross-linkers (gums) and sustainable fuels. We are also looking at surfactants and other type of stabilizers to make peroxide more stable. My area of expertise is in the science of explosive rock breakage, together with the development and implementation of advanced blasting engineering technologies. My research focusses on novel explosive formulations to minimise environmental impacts and maximise performance; development and application of advanced sensors and monitoring techniques; and engineering design and modelling tools to improve safety productivity and minimise the energy footprint of mining activities. Onederra, Italo A. and Araos, M. (2015). Detonation and breakage performance of a hydrogen peroxide-based explosive formulation. In: 11th International Symposium on Rock Fragmentation by Blasting: Proceedings of FragBlast 11 Conference. International Symposium on Rock Fragmentation by Blasting, Sydney, Australia, (565-574). 24-26 August 2015. Parra, Hector, Onederra, Italo, Michaux, Simon, McFarlane, A, Kuhar, L. and Chapman, N. (2012). Blast induced fragment conditioning to improve leaching performance. In: 5th International Conference on Innovation in Mine Operations – MININ 2012. MININ2012 V International Conference on Innovation in Mine Operations, Santiago, Chile, (). 20-22 June 2012. Onederra, Italo and Cavanough, Gary (2011) Researchers focus on drilling and blasting. The Aus IMM Bulletin, 6: 24-26. Villaescusa, E., Onederra, I. A. and Scott, C. (2004) Blast induced damage and dynamic behaviour of hangingwalls in bench stoping. Fragblast - The International Journal for Blasting and Fragmentation, 8 1: 23-40. Onederra, I. A., La Rosa, D. M., Riihioja, K. J. and Power, G. R. (2002) Engineering tools for design, analysis and information management applied to drilling and blasting. Fragblast, 6 3-4: 273-285. Cavanough, Gary , Onederra, Italo A. and Sellers, Ewan (2018). Improved Techniques for Reactive Ground, Density and Performance Testing of Bulk Explosives. In: Proceedings of the 44th Annual Conference on Explosives and Blasting Technique. 44th Annual Conference on Explosives and Blasting Technique, San Antonio Texas, United States, (). 28-31 January 2018. Fullelove, I., Araos, M. and Onederra, I. (2017). Detonation performance of novel hydrogen peroxide and nitrate based hybrid explosives. In: R. Holmberg, Proceedings of 9th EFEE World Conference on Explosives and Blasting. 9th EFEE World Conference on Explosives and Blasting, Stockholm, Sweden, (197-208). 10 - 12 September, 2017. Araos, Miguel and Onederra, Italo A. (2017). Development of ammonium nitrate-free mining explosives. In: Proceeings of the Forty-Third Annual Conference on Explosives and Blasting Technique. Forty-Third Annual Conference on Explosives and Blasting Technique, Orlando, Florida USA, (). 29 Jan-1 Feb 2017. Araos, Miguel and Onederra, Italo A. (2017). Rectangular and circular explosive charges-detonation study using high-speed video. In: R. Holmberg, Proceedings of 9th EFEE World Conference on Explosives and Blasting. 9th EFEE World Conference on Explosives and Blasting, Stockholm , Sweden, (189-195). 10-12 September, 2017. Araos, Miguel and Onederra, Italo A. (2017). Study of the detonation process of novel hydrogen peroxide-based explosives using high speed video. In: Proceedings of the Forty-Third Annual Conference on Explosives and Blasting Technique. Forty-Third Annual Conference on Explosives and Blasting Technique, Orlando, Florida USA, (). 29 Jan-1 Feb 2017. Scott, A. and Onederra, Italo A. (2015). Characterising Rock Mass Properties for Fragmentation Modelling. In: 11th International Symposium on Rock Fragmentation by Blasting: Proceedings of FragBlast 11 Conference. International Symposium on Rock Fragmentation by Blasting, Sydney, Australia, (149-160). 24-26 August 2015. Scott, A. and Onederra, I. (2015). Characterising the blasting properties of iron ore. In: Proceedings Iron Ore 2015: Maximising Productivity. Iron Ore Conference, Perth, WA, Australia, (481-490). 13-15 July 2015. Cavanough, G., Torrance, A., Onederra, I., Nipperess, M. and Olsson, A. (2015). Quality control of bulk explosive products to minimize the risk of fumes. In: International Society of Explosives Engineers (ISEE), 41st Annual Conference on Explosives and Blasting Technique, New Orleans, LA, United States, (2-11). 1-4 February 2015. Altamirano, A, Castro, R and Onederra, I. (2014). Engineering approach for the design and analysis of drawbell blasting in block and panel caving. In: Raul Castro, Proceedings of the Third International Symposium on Block and Sublevel Caving. CAVING 2014: 3rd International Symposium on Block and Sublevel Caving, Santiago, Chile, (656-664). 5-6 June 2014. Furtney, J, Onederra, I and Sellers, E (2013). Simple models for the complex process of rock blasting. In: Pradeep K. Singh and Amalendu Sinha, Rock Fragmentation by Blasting, Fragblast 10: Proceedings of the 10th International Symposium on Rock Fragmentation by Blasting. 10th International Symposium on Rock Fragmentation by Blasting (FRAGBLAST 10), Dehli, India, (275-282). 24-29 November 2012. Sellers, Ewan, Furtney, Jason and Onederra, Italo (2012). Field-scale modelling of blasting in Kimberlite using the Hybrid Stress Blasting Model. In: Proceedings of the Thirty-Eighth Annual Conference on Explosives and Blasting Technique. 38th Annual Conference on Explosives and Blasting Technique, Nashville, TN, United States, (627-638). 12-15 February 2012. Furtney, Jason, Sellers, Ewan and Onederra, Italo (2012). Simple models for gas flow and burden movement during blasting. In: Proceedings of the Thirty-Eighth Annual Conference on Explosives and Blasting Technique. 38th Annual Conference on Explosives and Blasting Technique, Nashville, TN, United States, (377-386). 12-15 February 2012. Onederra, I., Cavanough, G. and Torrance, A. (2011). Detonation pressure and temperature measurements of conventional and low-density explosives. In: EXPLO 2011 - Blasting - Controlled Productivity. Blasting - Controlled Productivity, EXPLO 2011, Melbourne, VIC, Australia, (133-136). 8-9 November 2011. Furtney, Jason, Cundall, Peter, Torres, Maurilio, Ruest, Marc, Onederra, Italo and Sellers, Ewan (2011). Numerical modeling of rock blasting: Validation tests for Blo-Up 2.5. In: 2nd International FLAC/DEM Symposium, Melbourne, VIC, Australia, (). 14-16 February 2011. Cavanough, G., Onederra, I. and Torrance, A. (2011). Prototype gauges for measuring detonation temperature and pressure of commercial explosives. In: Proceedings of the 37th Annual Conference on Explosives and Blasting Technique. 37th Annual Conference on Explosives and Blasting Technique, San Diego, CA, United States, (313-322). 6-9 February 2011. Scott, A., Michaux, S. and Onederra, I. (2010). Characterising dust generation from blasting. In: Rock Fragmentation by Blasting - Proceedings of the 9th International Symposium on Rock Fragmentation by Blasting, FRAGBLAST 9. 9th International Symposium on Rock Fragmentation by Blasting, FRAGBLAST 9, , , (663-671). September 13, 2009-September 17, 2009. Tordoir, A., Weatherley, D., Onederra, I. and Bye, A. (2009). A new 3D simulation framework to model blast induced rock mass displacement using physics engines. In: Jose A. Sanchidrian, Rock Fragmentation by Blasting: Proceedings of the 9th International Symposium on Rock Fragmentation by Blasting - Fragblast 9. 9th International Symposium on Rock Fragmentation by Blasting - Fragblast 9, Granada, Spain, (381-388). 13-17 September 2009. Characterising dust generation from blasting. Scott, A., Michaux, S. P. and Onederra, I. A. (2009). Characterising dust generation from blasting.. In: Sanchidrian, J. A., Fragblast 9 - 9th International Symposium on Rock Fragmentation by Blasting. Fragblast 9, Granada, Spain, (663-671). 13-17 September, 2009. Onederra, I. A. and Riihioja, K. J. (2006). An alternative approach to determine the uniformity index of Rosin-Rammler based fragmentation models. In: Fragblast 8 - 8th International Symposia on Rock Fragmentation by Blasting. Fragblast 8, Santiago, Chile, (193-199). 7-11 May, 2006. Djordjevic, N. and Onederra, I. A. (2006). Blast control through the use of notched holes. In: Fragblast 8 - 8th International Symposia on Rock Fragmentation by Blasting. Frgablast 8, Santiago, Chile, (104-108). 7-11 May, 2006. Esen,, Onederra, I. A. and Francis, (2006). Monitoring and analysis of production waste blasts at the Cadia Hill gold mine. In: Fragblast 8 - 8th International Symposia on Rock Fragmentation by Blasting. Fragblast 8, Santiogo, Chile, (393-399). 7-11 May. Onederra, I., Brunton, I., Battista, J. and Grace, J. (2004). 'Shot to shovel' - Understanding the impact of muckpile conditions and operator proficiency on instantaneous shovel productivity. In: Explosives - A Time of Rapid Change, EXPLO 2004, Proceedings. Explosives - A Time of Rapid Change, EXPLO 2004, , , (205-213). July 26, 2004-July 28, 2004. Onederra, I. A., Brunton, I. D., Battista, J. and Grace, J. (2004). 'Shot to shovel' - understanding the impact of muck pile conditions and operator proficiency on instataneous shovel productivity. In: EXPLO 2004. EXPLO 2004, Perth, 2004, (205-213). 26-28 July, 2004. Onederra, I. A. (2004). Breakage and fragmentation modeling for underground production blasting techniques. In: IRR Drilling and Blasting 2004 Conference. IRR Drilling and Blasting 2004 Conference, Perth, (). .
Onederra, I. A. (2004). Modelling fragmentation in underground production blasting. In: A. Karzulovic and M. Alfaro, MassMin : proud to be miners : proceedings. MassMin 2004, Santiago, Chile, (365-369). 22-25 August 2004. Onederra, I. A. and Esen, S. (2003). Selection of inter hole and inter row timing for surface blasting- an approach based on burden relief analysis. In: R. Holmberg, Proceedings of EFEE Second World Conference on Explosives and Blasting Technique. Explosives and Blasting Technique, Prague, Czech Republic, (269-275). 10-12 Sept, 2003. Onederra, I. A., Riihioja, K. J., Paganini, G. and Roldan, M. (2001). Computer aided blast design and information management applied to open pit narrow vein mining at Cerro Vanguardia. In: Heping Xie, Yuehan Wang and Yaodong Jiang, Proceedings of the 29th International Symposium on Computer Applications in the Minerals Industry. APCOM 2001, Beijing China, (337-342). 25-27 April 2001. Onederra, I. A., La Rosa, D. M., Riihioja, K. J. and Power, G. R. (2001). Engineering tools for design, analysis and information management applied to underground drilling and blasting. In: Alex Marton, Proceedings EXPLO 2001 Blasting Techniques and Technology - Today and Tomorrow's. EXPLO 2001, Hunter Valley, NSW, (237-244). 28-31 October 2001. Onederra, I. and Howarth, D. (1996). Geotechnical Parameters Affecting the Cutting Performance of the Mobile Miner (MM130). In: Breaking new ground : IX Australian Tunnelling Conference, Sydney, Australia, (). 27-29 August, 1996. Onederra, I. and Trueman, R. (1995). Predicting Machine Cutting and Cutter Wear Rates for Mining Applications. In: Australian Institute of Mining and Metallurgy: EXPLO 95; exploring the role of rock breakage in mining and quarrying. EXPLO 95 : exploring the role of rock breakage in mining and quarrying, Brisbane, Australia, (157-165). 4-7 September 1995. Oñederra, Italo Andres. (2005). A fragmentation model for underground production blasting PhD Thesis, Julius Kruttschnitt Mineral Research Centre, The University of Queensland. Note for students: Associate Professor Italo Onederra is not currently available to take on new students. A study of blast induced rock mass displacement through physical measurements and rigid body dynamics simulation.